The Brisbane Times article”‘It’s too big, it’s too dense” referred to Cox Architects’ proposal for the West Village development. View the article here. Cox Architects director David Cox said he believed there was more that could be done with the site. “We’re just going to be left with taller and taller buildings littered all over the site,” Mr Cox said. Mr Cox’s proposal involved creating a ring of seven buildings around the perimeter of the site. 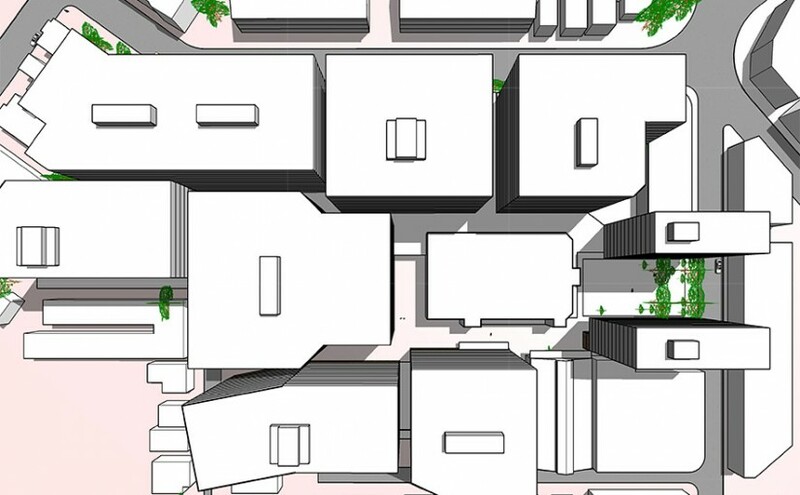 The building height or number of apartments was not included, but Mr Cox proposed the buildings facing Mollison Street be about eight storeys to allow light and air into the courtyard and the buildings at the rear of the site go no higher than 15 storeys. Mr Cox’s proposal allowed for 35 per cent open space, including a large internal courtyard of approximately one hectare. Mr Cox also proposed a new transport hub by setting back the buildings facing Mollison Street to cater for lay-by areas, and said the original design had no access for emergency service vehicles within the site.